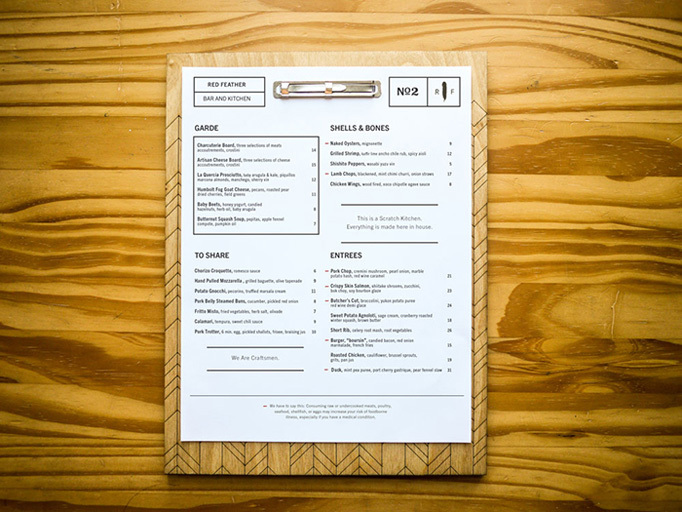 Designed by Matt Barnes for BLDG. 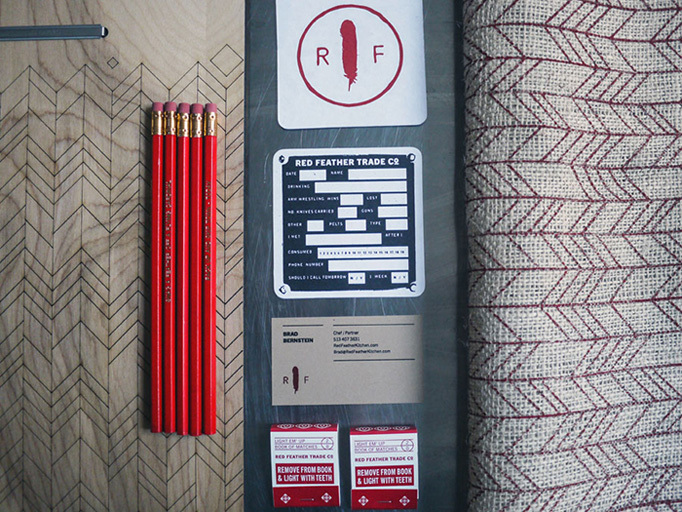 The legend surrounding the red feather says that it was worn in the pre-steamboat era as a symbol of not only river trade but of the rough and tumble attitude of the men aboard. 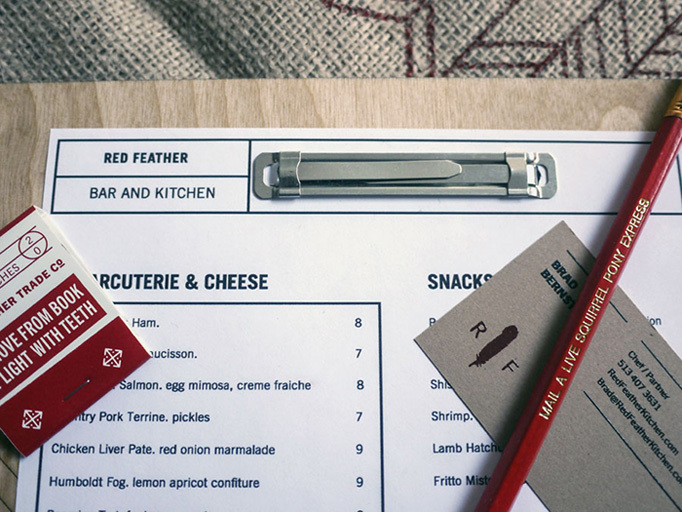 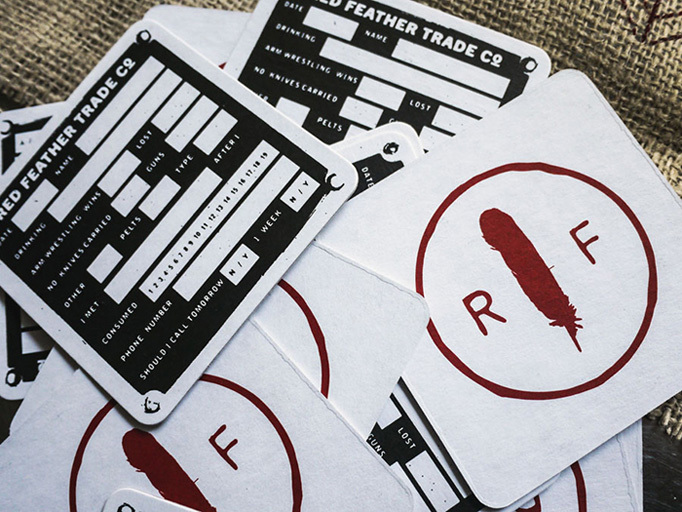 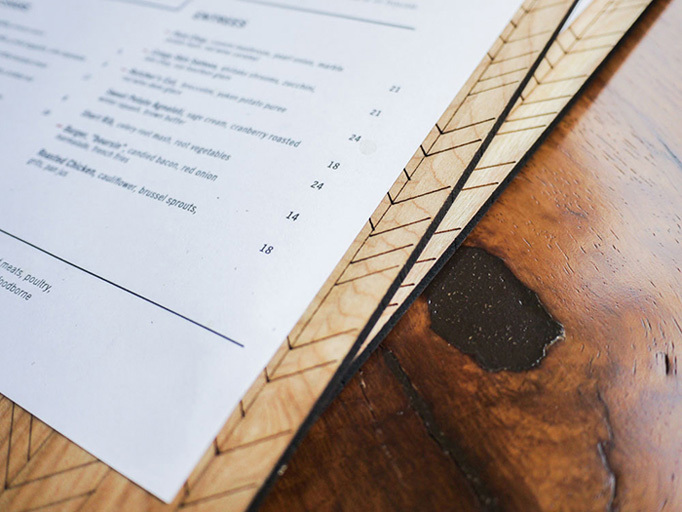 Laser engraved menu boards and other hand-crafted collateral accompanied by Native American-inspired patterns give Red Feather’s otherwise masculine identity a softened, tangible touch.